Nitrorail — it’s a . . . thing. I looked for videos of people riding these, with no luck. Their website (at http://nitrorail.com) has a few still photos, none of which resolved my confusion. Grownup on Nitrorail, doing . . . something. Child on Nitrorail, doing . . . something. 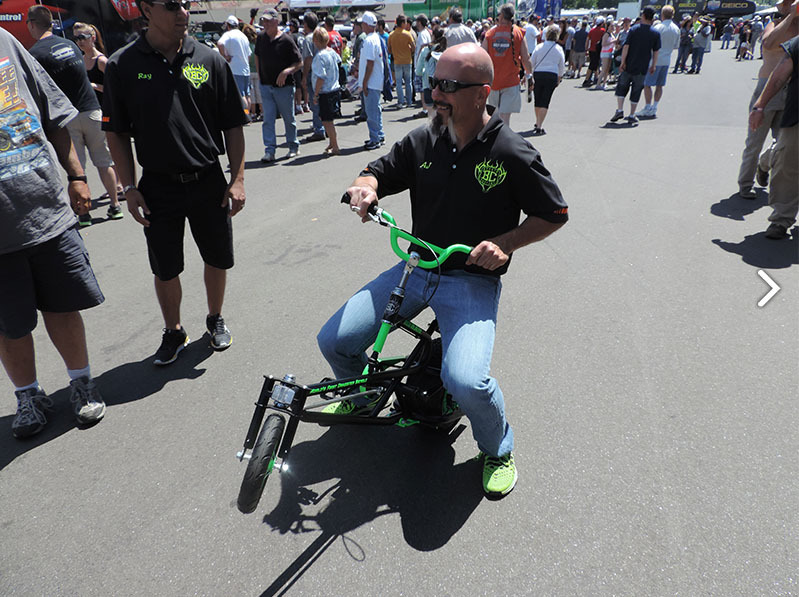 Is it a trick bike? Why does it have tailpipes? 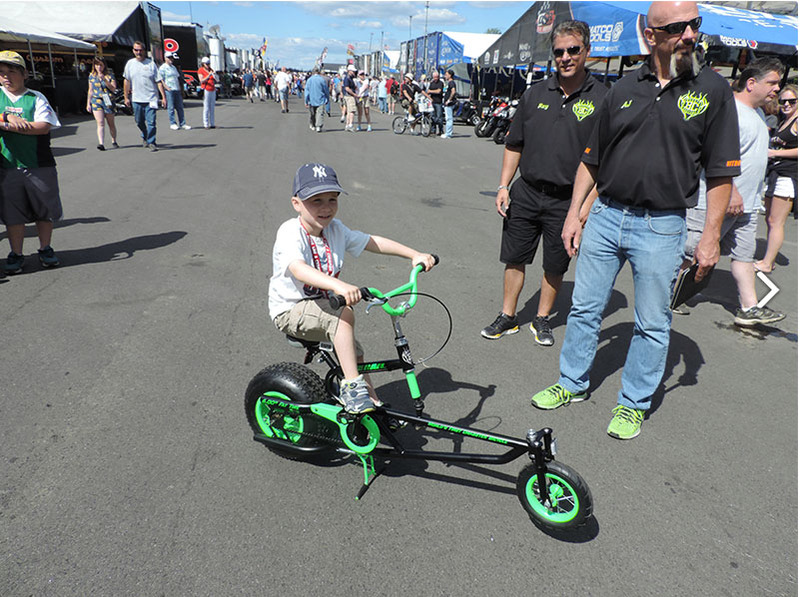 How come the kickstand is down in the second photo when the kid is on the bike? Who do they think is going to pay $999 for this? This entry was posted in Not quite a bicycle, Such a bargain! and tagged Skymall on November 28, 2014 by stern. This is by far the best thing EVER posted on WheeledThing – and we have found some pretty awful crap. 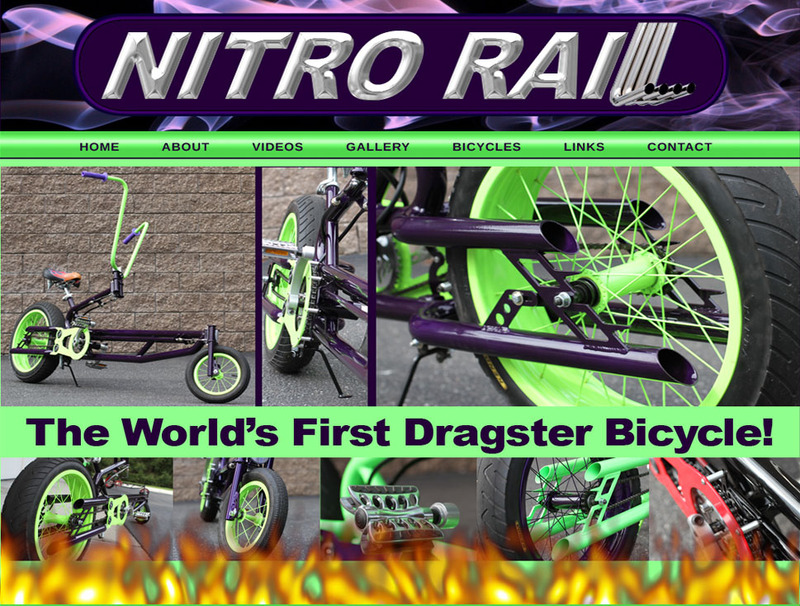 For this $1K bike, I first direct you to their twitter feed – @nitrorail where they have zero tweets.